Good Morning All!! 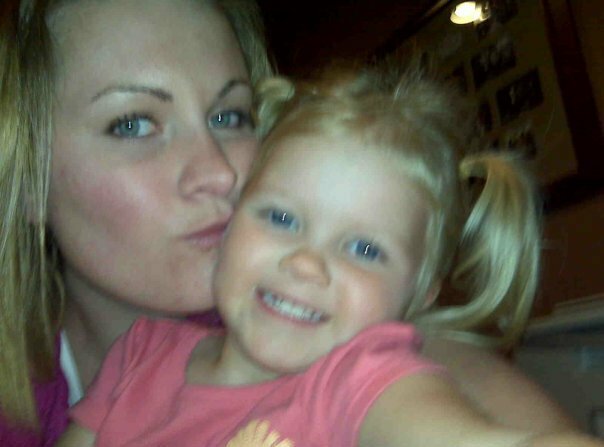 I am extremely excited to share another wonderful Blog friend of mine... Lauren from Forever Now and Then! Lauren is such an amazing gal, I love checking out her blog because she always has something new to share, and her recipes never cease to tempt me to break my diet! Before I get to the goods, let me let you know who I am….I promise to keep it short. After all we got some baking to get to. My name is Lauren. I’m a stay at home mom of 2. I home school both my children (second grade and preschool)…. which we just finished our school year…. holler!! When Kim (who’s blog I stalk on a regular basis) asked me to do a guest post for her, I was in the middle of my kids’ karate class; I let out a yelp of joy…. everyone looked, I turned red, and waited for my kids out side. It took me a while to think of what to make. It had to be fabulous…. have you seen what this lady makes…. yummy!!! Finally after rattling a few ideas around in my brain, these little guys were made. 2. Cream butter and sugars in a large bowl. Add egg and vanilla. Mix well. 3. In a gallon sized Ziploc bag, add flour, salt, baking powder and cinnamon. Shake well. 4. Slowly incorporate flour mix into butter mix. Once fully incorporated add milk 1 Tbsp at a time. 6. In a small bowl combine 2 tsp sugar and ½ tsp cinnamon. Sprinkle over dough in the jars. 7. Place each jar into a 13x9 baking pan. Fill with 2-2 ½ cups of water (just about ½ way up the jar). 8. Bake for 18-20 min. 9. Then turn oven off and broiler on low (leave the pan with jars in oven). Watch very carefully. You just want to brown the top. It takes about 3 min. 10. Remove from oven. Using an oven mitt, remove jars from pan and place on wire rack to let cool another 4-5 min or until you can handle. 11. Top with ice cream of Kim’s fan-tab-ulous homemade whip cream. **Note: The “cookies” in the jars will be just a bit under done. If you would like them more done, just increase the cooking time a few min. *Drools....* Good gracious did you see those?!? I can't believe I've lived my life thus far without having these... haha! These would be such a neat treat for gifts, and I can bet you the little one's would find them totally awesome! I am on the hunt for these jars now, and will be trying them asap! Thanks Lauren for this post, your cookies look positively heavenly! And you can find her on Twitter too! Oh my word! These look amazing! Really wish you lived next door! Wow- wonderful!!! What a cute presentation. I have some half cup ramekins that this would be good for, I would probably have to adjust the cooking time. This dessert is really creative and looks delicious. Glad I stopped in. Yum! This looks awesome. 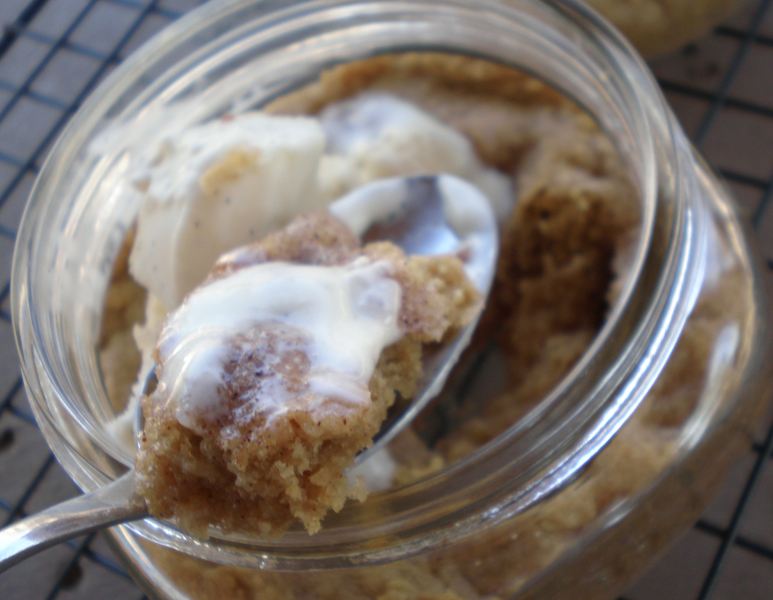 I would have never thought to put snickerdoodles in a jar and eat it with ice cream. Fantastic! Thanks everyone! Lauren did a fantastic job with this post! what a lovely guest post Kim..fantastic! I love the recipe and so glad to read a bit about blogger that is new to me!!! I love it!!! What a great idea! I'm sure they stay fresh longer just by putting the lid on the jar - so cool! So nice to meet ya Lauren - great guest post! Fantastic Idea!!! Cant wait to try em!! Wow - yum!! 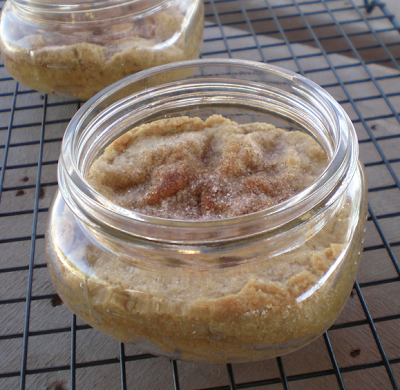 I have made pies in jars before but would never have thought to make a cookie in a jar!! Great idea and I can't wait to try this! Wow! Very creative and so much fun to eat. Who doesn't love a good Snickerdoodle! Wow, what a treat! I can't believe I have never came across your blog before. I grabbed your button and will be posting it on my blog. Have a great day! Great to see you on Kim's blog. I love the idea of thee cookie jars, and the cookies look yummy. I'm bookmarking these. Thanks for a wonderful guest blogger.